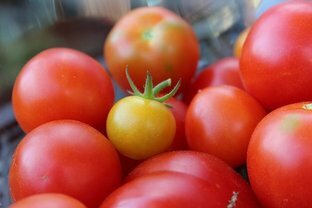 Are you longing to feed your family freshly picked, nutritious produce but don’t have the time or space to grow your own? Many busy Seattle-area families are in this predicament, and luckily, there is a wonderful solution: Join a community-supported agriculture program (CSA) at a local farm. Beyond gaining access to a weekly delivery of farm-fresh vegetables and fruits (sometimes eggs, too), your family can develop a connection to a working local farm and real-life knowledge of where the food on your table comes from. A little background: Community-supported agriculture started several decades ago as an ingenious way for small farms to gain support of environmentally conscious consumers willing to share in the benefits (produce) and the risks (crop failure) of farming. Typically, CSA members pay a fee to the farm before the growing season begins, which gives farmers the means to finance the upfront costs of planting. In exchange, members receive a weekly share in the produce of “their” farm. Because most CSAs practice sustainable farming and don't use synthetic chemicals (many are certified organic), becoming a member not only benefits your family and the farm, but also the environment as a whole. 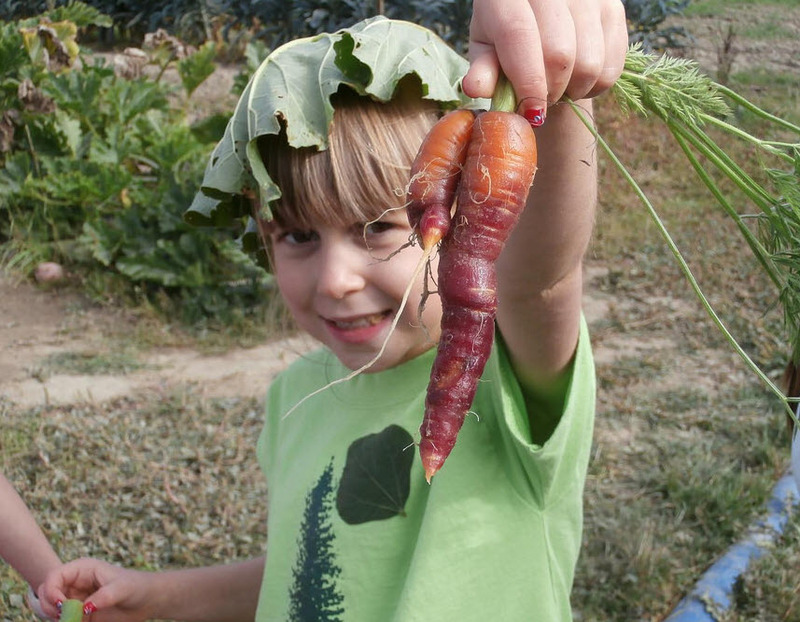 Western Washington boasts more than 40 CSA programs, giving families plenty to choose from. Puget Sound Fresh, a yearly guide produced by Seattle Tilth, can help you narrow down your choice of CSA based on many factors, including location, length of season, price and activities (see below, "How to Choose a CSA"). While most CSAs offer some form of educational programs to their members, some are more suited to young families with children. Below, we’ve highlighted five CSA farms especially aimed at helping you and your kids see, taste and feel the farm! Managing Operator Claire Thomas recently showed me around The Root Connection, a 20-acre farm in the Sammamish valley between Woodinville and Redmond. Thomas has been called the “Grandmother of the CSA” because The Root Connection is the oldest CSA program in Washington, as well as one of the oldest in the nation (it started in 1987). As we strolled through the property, Thomas pointed out one of the many U-pick gardens available free to CSA members, including herbs, flowers and leafy greens in varying shades. There was also a children’s garden. Although we were close to Woodinville, it felt as if we are far from the city. In fact, the Root Connection can be accessed from the Burke-Gilman Trail and some families bike to pick up their weekly CSA share. Little packaging is used at the Root Connection. Members bring their own bags and are given a list of vegetables to choose from boxes of loose produce for the week. Thomas recommends The Root Connection CSA for folks that are “big vegetable eaters” because its large box contains enough for 4-8 people. Some families partner with others and share. The Root Connection offers a "CSA Member for a Day" program. When you sign up, you not only get a weekly share, but can spend the day on the farm and take advantage of U-pick. Fun fact: Thomas also sends out emails to let members know when special things are happening at the farm, such as when the corn is pollinating. “The air smells sweet,” she explains. The boxes: Typically, members get boxes from June–October. 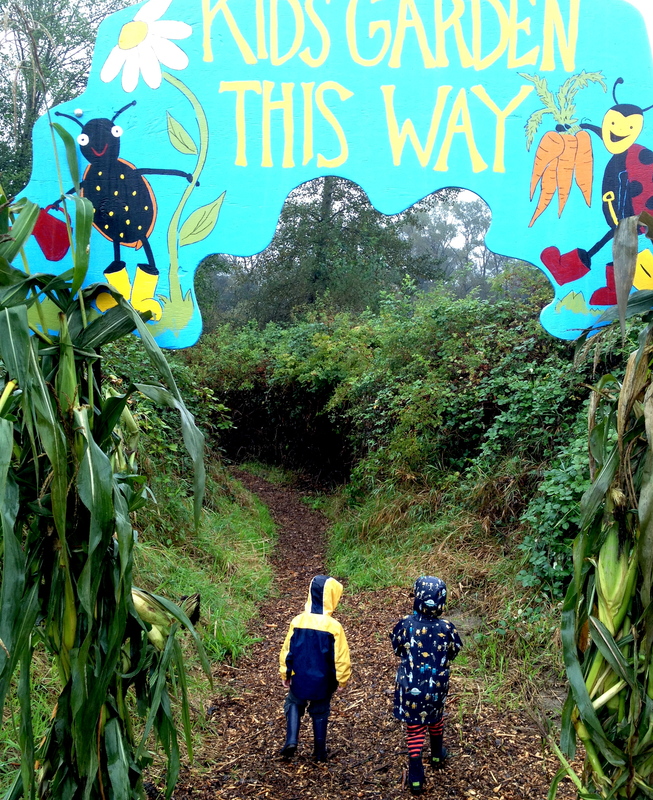 You can pick up at the farm or designated spots in Lynnwood or North Seattle. Prices for the season start around $890 and vary depending on whether you pay at one time or in installments, and by cash or credit card. Weekly veggie boxes are generous, feeding 4–8 people (you can split a box with another family). Fruit boxes are also avilable to members for an additional fee. Wild Hare Organics is the new name for an established farm in south King County: Terry’s Berries, a staple of farmers markets around Puget Sound. When Terry’s Berries owners retired, Mark and Katie Green took over the business and continue to sustainably farm the 20 acres of vegetables, fruit, berries and herbs. Located right off River Road in the Puyallup River Valley, Wild Hare Organics is just three miles outside of Tacoma. One of the many ways that members can engage with the farm's bounty is that they assemble your own share from boxes of loose produce. Kids can help weigh the vegetables as well as seeing, touching and smelling them. “Everyone gets to see that vegetables grow in different ways. Some are big, some are small, some are wonky. They are all different colors. Members get to engage with their food,” Katie Green says. Fun fact: On share pick-up days, members can walk freely around the farm, including visiting the farm’s goats and chickens. The farm also offers kids' educational tours in the fall, plus other fall events. The boxes: Wild Hare Organics CSA offers subscription options in both large and small sizes and for different time periods (full year, three seasons, etc., as well as an additional greens option in winter). Check the website for share prices; a June to October summer share starts around $420. Wild Hare also has add-on options of Olykraut, eggs, artisan bread and salad. Pick up at the farm. Fun fact: CSA members have the opportunity to participate in on-farm gleaning events to help supply fresh produce to hunger-relief organizations like Hopelink. The boxes: The CSA offered by Oxbow offers a 20-week share for $600 and a 4 week share for $150. They also have a weekly fruit share that spans from July to November, a monthly honey share from June to October and a monthly shiitake mushroom share from June to October. Use their pickup location finder to find a pickup location near you. Whistling Train Farm is an urban farm located between Kent and Auburn. Its 15-acre property, which lies between the Burlington Northern and Union Pacific Railroad tracks (hence the name), encompasses several different microclimates and soil types, allowing for harvest 10 months out of the year. Members can visit the cows, pigs and chickens on their pick-up day, and can pick unlimited amounts of beans, peas, cherry tomatoes and flowers. There are also self-guided farm tours and farm potlucks in the summer. 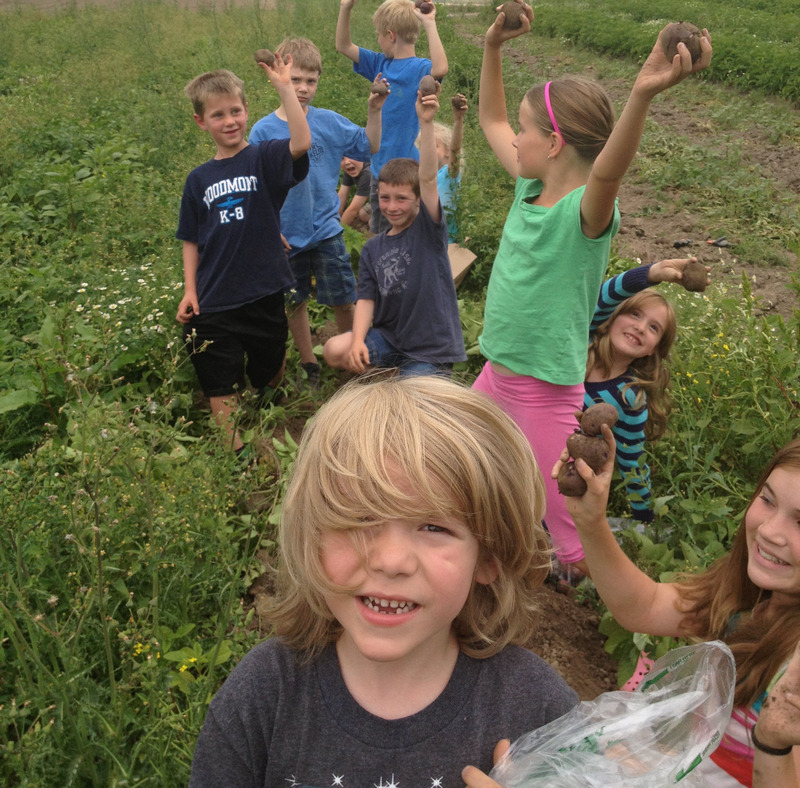 One nifty membership perk is the the FarmKids Club, held on Tuesdays in summer, where “kids get an up-close and personal look at what organic farming means,” says owner Shelley. 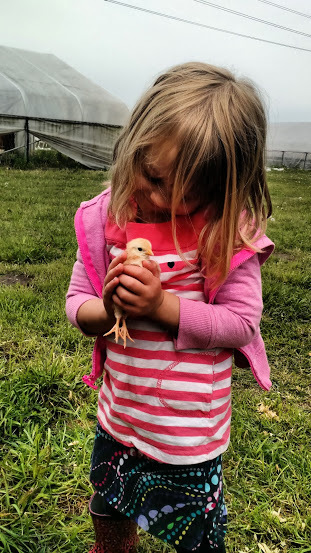 The club introduces kids 5 and up to plants and animals on the farm; they learn about seeds, growing plants, livestock care, wildlife and more. Note: FarmKids Club details for 2017 are not yet available on the website; call or email the farm with questions. The boxes: The Mystery Box subscription is $400 for a total of 16 boxes. They have a 40-week long CSA season and farm shares start at $700 for the mini share. This farm also offers fresh egg shares as an add-on for members. This unique CSA farms right in the middle of the city, utilizing underused land — primarily people’s backyards! The goal of CityGrown is to bring people closer to their food. Produce is sold within 1-2 days after harvest and travels at most 10 miles from garden to customer. Landowner’s receive a CSA share in exchange for the use of their backyard; farmers come to them and do all of the work. Soil tests are performed before sowing to check for presence of heavy metals, and non-edible buffer crops are planted around the borders as shields for car exhaust. CityGrown also has a large community garden patch in the Crown Hill neighborhood of Seattle, which is also the location of one of its farm stands. As you choose your weekly share at this location, you can also check out what’s growing. Another unique aspect of this CSA is that instead of a predetermined share of certain fruits and veggies, you get a pre-loaded card to use at one of their farm stands. You can pick and choose what you would like each week, which is especially fun for kids. If your family is lucky enough to have a CityGrown garden plot in your backyard, kids can see farming from seed to harvest up close. The kids might even get to “help” the farmers as they work. CityGrown Seattle also needs plenty of volunteers, check out their work parties in which supervised kids are always welcome. Fun fact: Even if you aren’t a member, you can shop at one of the farm stands. The boxes: As noted earlier, this is a unique model. At the beginning of the season, you "buy in" at $250 or more – which functions like a debit account. The amount that you spend each week is deducted from the balance all summer long. Find a farm: Puget Sound Fresh is a great source of information about local community-supported agriculture farms. Location: The location of both the farm and its share pick-up points are probably the most important consideration. All CSAs host some type of event for members at least yearly: A farm closer to where you live will make it easier to attend, or to just check out the farm. You will also need to pick up your share each week, so a convenient location is important. Growing practices: All CSA farms listed in Puget Sound Fresh abstain from using synthetic chemicals, but not all are certified organic. Salmon Safe and Certified Natural are just some of the different certifications various farms have. Length of season: Farms offer a variety of share options, some for just one growing season, while others have spring and winter shares as well. Some offer fruit options and add-ons such as eggs. Flexibility: Check the CSA’s policies on pick-up times and days, as well as what happens to your share if you are out of town and have to miss a week. Packaging: If less plastic packaging is important to your family, then this is a question you’ll want to ask. Some farms box up shares with veggies in plastic and some don’t. Add-ons: Many farms offer fun, local items you can add onto your share such as fresh eggs, pastured meat and many other products. If you regularly purchase eggs and honey from a farmers market, then finding a CSA that includes these items will save you a trip. 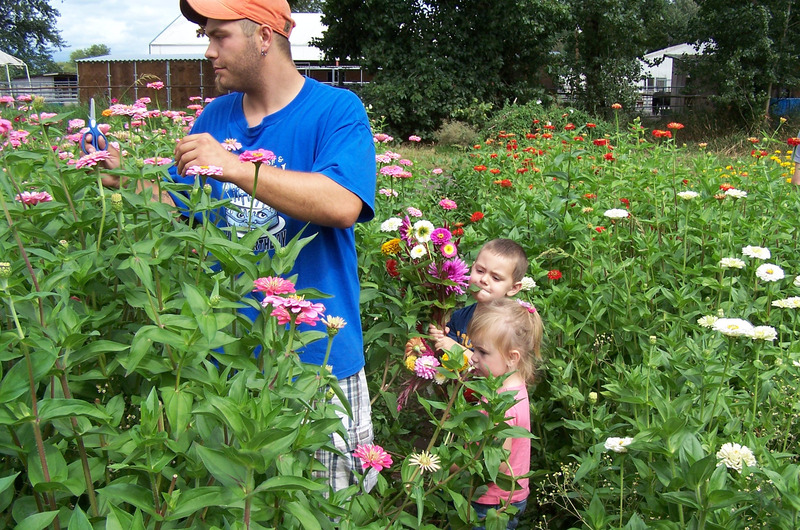 Perks: Open farm days, U-pick veggies and flowers, events and classes are some of the benefits offered by different farms. Check out what your local CSA offers, and choose what will be most beneficial to your family. Cost: Obviously, cost is a factor, but it is difficult to compare CSA programs by cost alone, due to the many differences in farms. “Buy-in” price varies greatly. Be sure and check if there are discounts for early subscriptions or if you can pay in installments. Also consider what the cost breaks down into on a weekly basis, it usually still beats grocery store organic prices. Editor's note: This article was written in 2016 and updated for 2017.